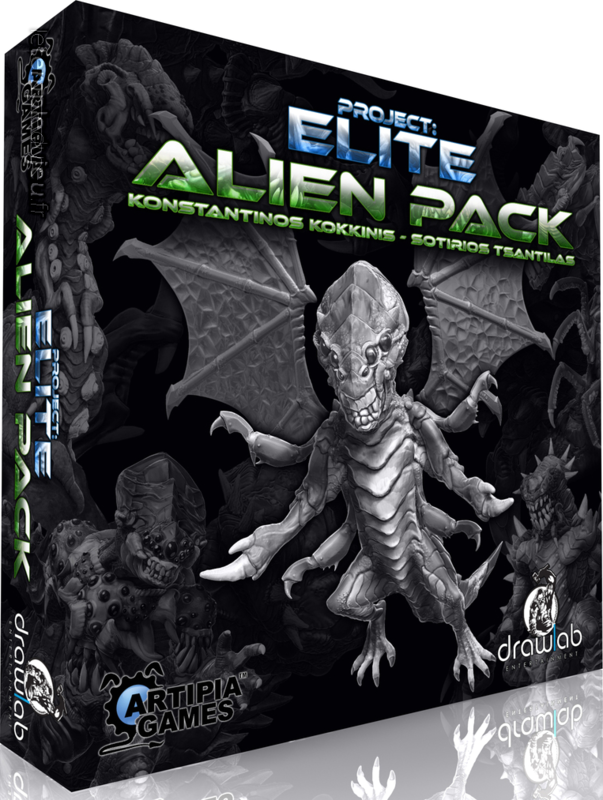 Tout un lot de nouvelles figurines pour le jeu Project : ELITE 1 Mega-Boss Caristar + Profile card. 4 Boss Aliens Calarook, Chronovore, Ephialtes, Breedar + Profile cards. 15 Special Aliens Slug(6), Myriad(6), Creeping(3)+ Profile cards. 20 Advanced Aliens Shooter(3), Biter(3), Runner(3), Guardian(3), Eruptor(3) Plastic Tokens 8 Extermination Tokens 8 Demolition Tokens 8 Recon/Recovery ... <lire la suite>.